My granddad, William Silas Hill, a Congressman at the time and an “Eisenhower Republican,” conversing with Richard Nixon in 1956 – 13 years before Nixon became President. It’s 1969….50 years ago. On January 19 Richard Nixon is sworn in as President of the United States. He promises to achieve “Peace with Honor” in Vietnam, hoping to begin to withdraw the approximately 500,000 U.S. troops who are serving there. Andy and I are in Huntsville, Alabama, at that time, thanks to the draft (read all about it in the last Andy’s Corner). Following Andy’s advanced ordnance training at Aberdeen Proving Grounds, MD, we completed our “dream sheet” – where the Army allowed you to indicate your preferred areas to be stationed next; we had naively put “no place in the South.” Remember, it was 1968 and the South was not our idea of a happy place. We can still picture some military person assigning Andy – with unabated glee – to Alabama. So Andy is serving as a 2nd Lt in the Army stationed at Redstone Arsenal. When his orders for Vietnam arrive (accompanied by lots of tears), we begin to figure out what to do next. I will go back to my folks in Ft. Collins, Colorado, and look for a teaching job. Raggedy, our kitty, will go with me. After the move to Colorado, we’ll go together to San Francisco and see the sights as our last fun(?) trip before Andy departs for Qui Nhơn; I’ll wave him goodbye at the San Francisco airport. It is all surrealistic and awful. We’ve only been married 20 months and have already been apart 12 of those months. But there’s clearly a light at the end of that tunnel. We both survive the year – and learn a lot about ourselves and our relationship. Raggedy thrives on our 5-acre “tract” in Fort Collins. I find out what teaching middle school in Loveland, CO, entails. Andy deals with more than he ever needed or wanted to. And we add our first Australian Shepherd, Marcus (named because Andy arrives home from Vietnam in March) to our family. One of the more satisfying things to ever happen is when Andy and our adult son Travis travel to Vietnam in December of 2000. They land in Hanoi, fly to Hue and then bicycle down the coast, ending in Saigon. They are both surprised and delighted by the warmth that the Vietnamese extend to these Americans – 25 years after the United States had finally withdrawn from the country – in a most ugly and traumatizing manner (the Nixon-promised “peace with honor” certainly didn’t pan out). Andy shares some lessons learned from that trip – about lycra and noisy horns and riding in crowds – in today’s Andy’s Corner. In addition to the appeal of the country and the Vietnamese people, both Andy and Travis raved about the food. Andy and I had already become somewhat immersed in Asian cooking prior to his 2000 bicycling trip, since we had helped our daughter with her cookbook Asian Vegetables and, in doing so, had discovered a most amazing little Vietnamese grocery in Baton Rouge, the Vinh Phat Oriental Market, which became the source of many fun and – to us – exotic ingredients. Andy has written about it too. It was there that we first bought Asian fish sauce (Red Boat is our present go-to; our daughter recommended Three Crabs in her cookbook) and the most-interesting daikon radish, and rice (or vermicelli) noodles. When I need help with Vietnamese recipes I frequently turn to the website and cookbooks of Andrea Nguyen. She is from one of those many Vietnamese families who – in 1975 – fled the country. Her family ended up in Southern California and she now lives in the Bay Area. On her website I found a good basic recipe for daikon and carrot pickles, which are a must for Banh Mi sandwiches (here’s a link to Nguyen’s history of the sandwich as well as her basic Banh Mi recipe) and as a side dish for so many other Vietnamese dishes – plus yummy to munch on just by themselves. Another basic recipe for Vietnamese meals is Nuoc Cham. I’m always a little surprised that a lot of folks don’t like – or haven’t tried – fish sauce. It adds so much to SE Asian foods. Soy sauce is a substitute – but gives an entirely different flavor. If you want this as a salad dressing, simply reduce the water to 1/4 c. You can add a little oil, if you wish. We love serving these meatballs with Nuoc Cham. The perfect appetizer. Or put them in a Banh Mi sandwich with the Pickled Veggies. Use soy sauce instead of fish sauce, if you want. The cabbage can be all green – 3 cups worth, if you want. 6 oz rice noodles, cooked according to package instructions; they may be cut with scissors, if you’d like after cooking. Toss the salad ingredients, noodles, and dressing, adding fish sauce to taste, and serve. Of course, Pho (pronounced “fuh”) is one of the Vietnamese classics. It you want simple, be sure to try our Pho-ish Chicken. Yum. Finally, here’s a new taste for us – and it’s adapted from Andrea Nguyen. What a wonderfully-unique flavor. The broth is to die for. FYI Andrea Nguyen’s original recipe, which I’ve adapted, has you cook the crushed tomatoes to form a paste – but to speed the process up, I just used the tomatoes as they come from the can. You might serve the stew over rice noodles or rice. Or with French bread which can be dipped into the broth. Clearly, the influence of the French is noteworthy. In a bowl, combine the beef, lemongrass, fish sauce, five-spice powder, ginger, brown sugar, and bay leaf. Mix well to coat the beef evenly. Set aside to marinate for 30 minutes. In a heavy-bottomed 5-quart Dutch oven, heat the oil over high heat. Add half the beef and sear on all sides, then transfer to a plate. Do the same with the remaining beef, then put all of the beef cubes back in the pan. Lower the heat to medium-low, add the onion, and cook gently, stirring until soft. Add the tomatoes, salt, star anise, and water; stir to combine, then bring to a boil, lower the heat to a simmer, cover, and cook for 1-1/4 hours, or until the beef is almost tender. Add the carrots and return the stew to a simmer. Cook, uncovered, for about 30 minutes, or until the carrots and beef are tender. Transfer the stew to a serving dish, removing and discarding the lemongrass, bay leaf, and star anise. Garnish with the Thai basil and serve with your choice of noodles, rice, or French bread. Nice. Spring like flavors for a dark season. Especially like the nuoc cham and the meatballs, plus there is special appeal to the chicken and rice noodle salad. Thanks for the comment. I hadn’t thought about the spring flavors for a dark season but you make a good point. 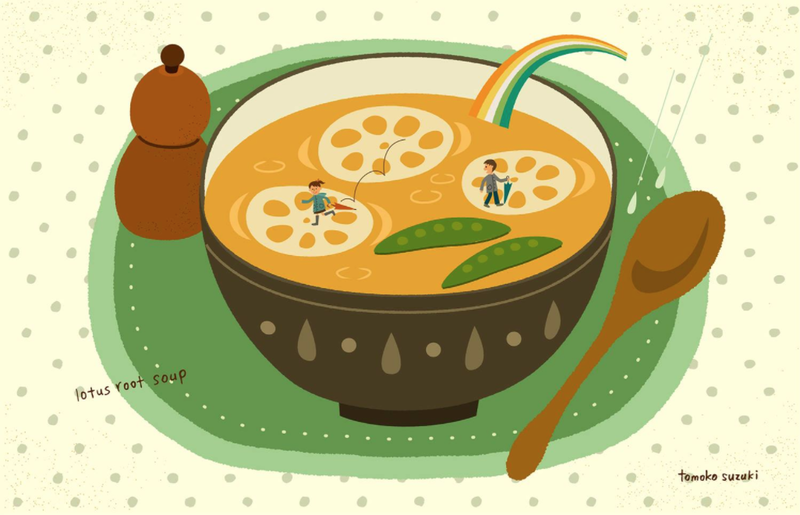 We truly enjoy Vietnamese food in any season.